What happens in Vegas doesn't have to stay in Vegas! We bring exciting Casino Action to your events in Minneapolis and across Minnesota. All in Casinos is the place for Party Excitement. We bring high class Vegas style tables with expert and engaging dealers to make your next event unforgettable and fun. Your guests will enjoy the fast paced casino action. Our professional team brings exciting Casino games for parties in St. Paul, Minneapolis, St. Cloud, Duluth, Rochester and across the state. We bring Poker, Pai Gow, and other exciting Casino action in Minnesota and Wisconsin. Make your next corporate party a stand out success with our lively Casino card games in the Twin Cities, St. Louis Park and Edina. It gets your group involved and gives them a fun night they will not soon forget. We are the official Casino Games sponsor of the Minnesota Magicians Hockey Team. Its Fun! We have brought Casino parties for several events for the Minnesota Vikings and NFL Retirees events. Its Exciting! We bring Casino games to events in Plymouth, Medina, Chanhassen, Bloomington, Stillwater, Eden Prairie, Roseville and Woodbury. We travel with our Casino tables and fun games to Mankato, Rochester and Duluth. We also Take our Casino on the road to corporate events in Wisconsin. It is a blast! 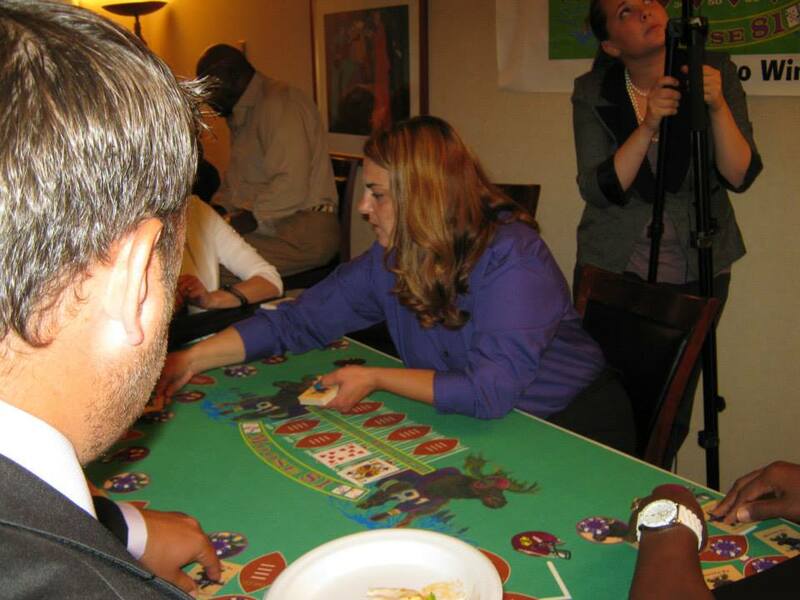 Your group will have a great time challenging their luck and skill with Casino tables brought to your event. We were proud to bring out tables to the NFL Alumni Fundraiser Event - 2014. 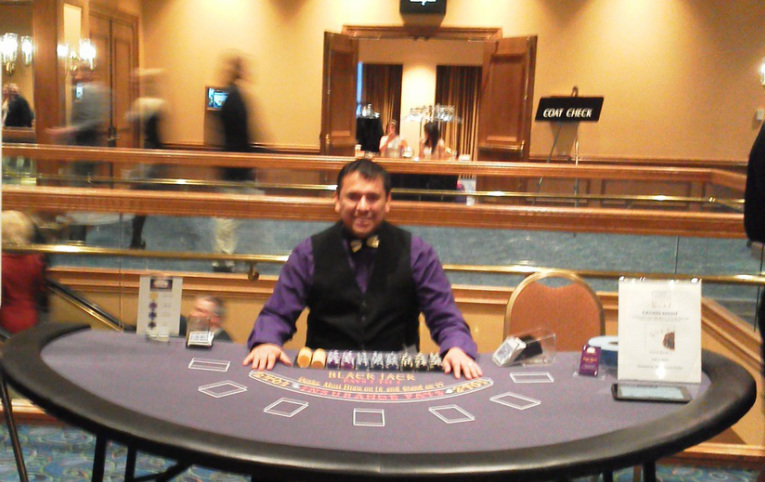 "Our event would not have been complete without Ryan and All In Casino games. Ryan's communication prior to the event put us at ease that he had all the details and was ready for our event. That evening he was professional and fun! He helped train our volunteers on site and was a great addition as a dealer himself. The casino tables were the highlight of our evening and many guests have already requested that they come back next year. We will be using Ryan again and would highly recommend him to anyone else looking for someone that provides fun entertainment with professional support to make any event a success!" Casinos for your party in Minneapolis and St. Paul. Casino Table Rental Service. We provide Expert Dealers. Live Casino Actin is brought right to your corporate party or Banquet in the Twin Cities and suburbs. Your guests will enjoy Dynamic Entertainment with our Casino tables for your Special Event in Minnesota and Wisconsin.